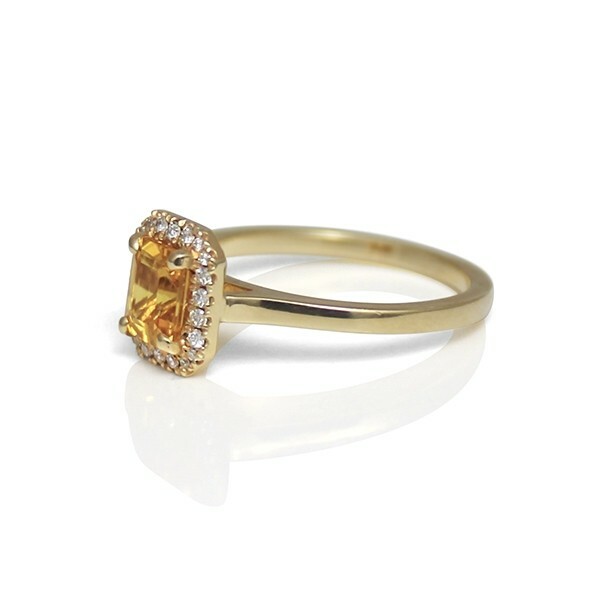 This 14K yellow gold ring features a natural 1.06 carat yellow sapphire surrounded by a diamond halo. It is one of our "Studio1098 Staff Picks" because of its mellow yellow vibe. 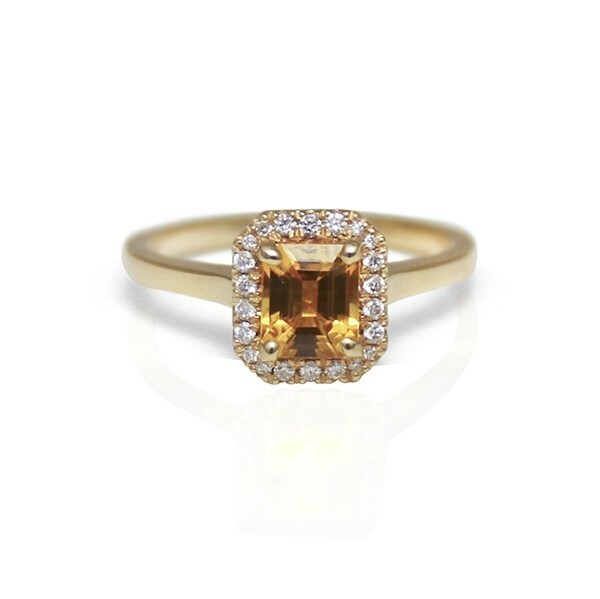 We love the geometric shapes and vibrant colours of this ring. It’s a modern take on a classic design. Definitely a stand out ring that could work as an edgy engagement ring or a classic right hand ring.